New Notification Concept For iOS! There are a lot of really great concepts for iPhone notifications, but they all seem to stray away from what is the look and feel of iOS. So my idea is pretty simple, Andreas Hellqvist have created a concept using only the existing graphical resources of iOS, short of a few few exceptions. But Andreas Hellqvist still feels that they are in bounds of the visual philosophy. 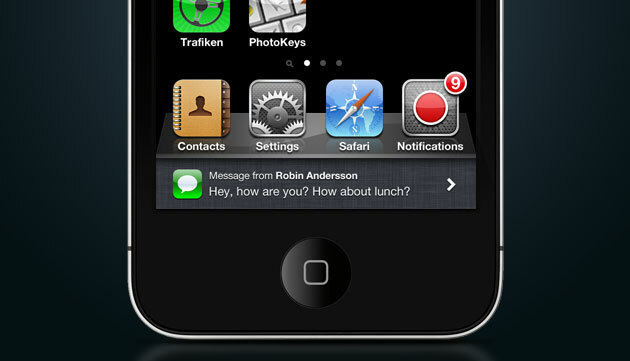 » New Notification Concept For iOS! Engadget laid eyes on a video from the prolific leaksters over at Tinhte, who claim they not only have a white iPhone 4 from Apple, but it’s one with a “test version” of iOS that nobody else has yet seen. It’s difficult to ascertain how legitimate this software is — it could just be a neatly done jailbreak mod — but that site has a track record of getting its hands on Apple gear ahead of the pack. With that said, the multitasking menu shown here substitutes the current use of apps’ icons to represent them with a visual of each app’s open window. You can tap on a window to expand it (replete with animation) to fill the screen or long-press on it to bring up the familiar “x” button for shutting it down. This is all accompanied by a new “Search iPhone” dialog at the very top, which sends you into Spotlight search that looks very much the way it currently does (though it seems to no longer be accessible with a left swipe from the first homescreen as on previous versions of iOS). Take a look after the break for the videos. 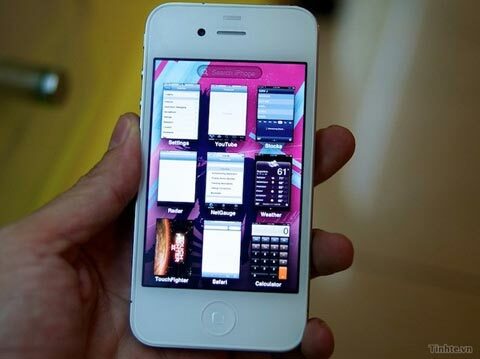 » White iPhone 4 Showing New iOS Features? iOS 5 packs Photo Stream social feature? A reader of 9to5mac discovered a “hidden feature” in the Photos.app of his iOS 4.3, via a third-party application that allows the user to select photos from their library for editing. Apple has a photo-based social component called Photo Stream up its sleeve, and it looks like it will be integrated in the next iOS release. “It looks like users will be able to setup Photo Stream albums in Photos.app just like they can make playlists of songs in iPod.app. 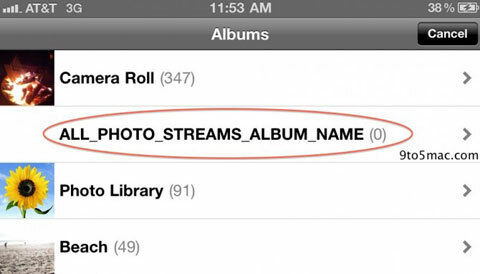 These Photo Stream albums will then be able to be streamed to specified groups of people.” » iOS 5 packs Photo Stream social feature?